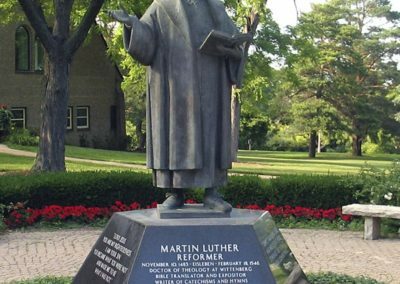 The Wisconsin Lutheran Seminary in Mequon, Wisconsin wished to honor Martin Luther, the sixteenth century German theologian and leader of the Reformation, as well as create a point of reflection on the Seminary grounds. 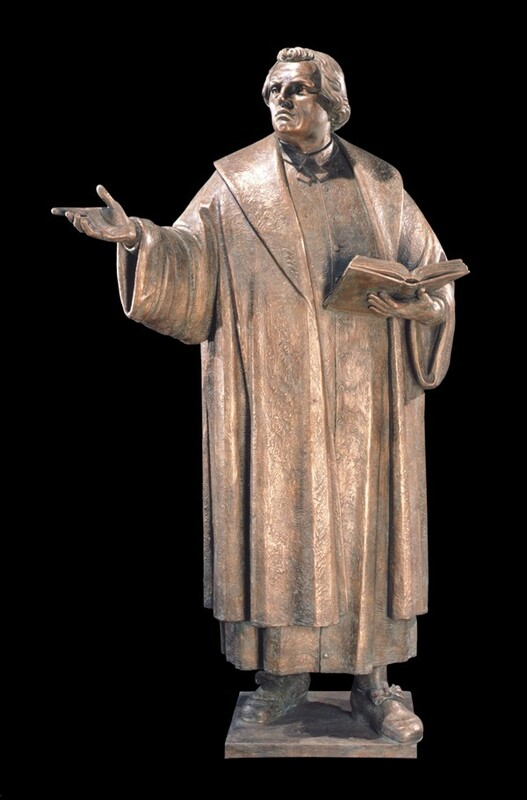 After extensive research into various images of Martin Luther, the statue began as a charcoal sketch in the Conrad Schmitt Studios. Next, artisans sculpted an 18″ clay model. Adjustments were made in the clothing and pose – and every detail was given attention. After a full-size model was made, the statue was cast in a single pour at a foundry in Italy. 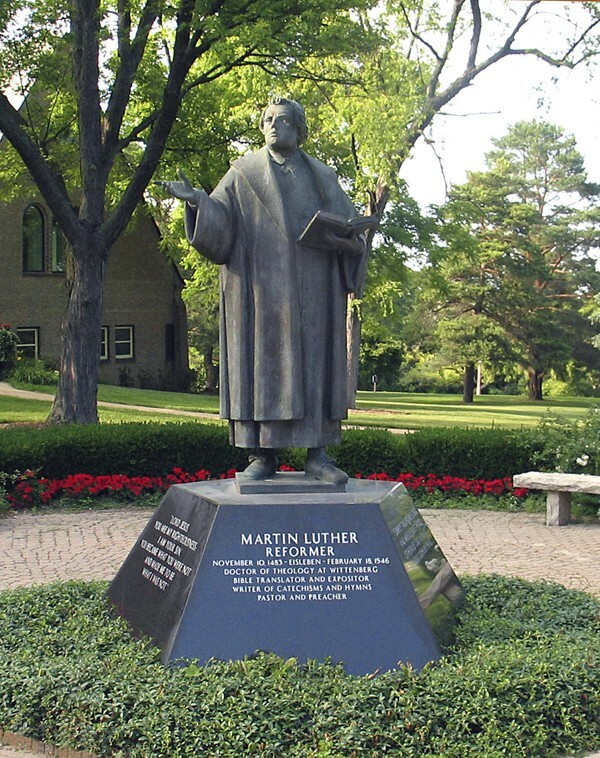 The base of the statue is faced with “Absolute Black” granite and etched with selected quotations from the teachings of Martin Luther.